If you were 18 years old in 1976, then you'll remember that legendary summer - yet for turf care professionals under the age of 60, the summer of 2018 has strayed into unchartered territory. Certainly, in my 26 years in fine turf, other than a late summer heat wave in 1995, I've never witnessed drought conditions on this scale. Those with automatic irrigation are battling furiously to keep the (often out-dated) system running day and night. Those with limited or zero irrigation have thrown up their hands and decided that the point of no return has long been passed. We are now stuck in a grass version of 'suspended animation' - just waiting for something to happen with the weather. Yet for every cloud (no pun intended), a silver lining usually follows. Through these difficult days of June and July, I've been heartened to see the positive effects of Bio-stimulants on turf health. 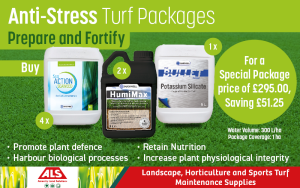 If doubts have been cast as to the effectiveness of these type of products, (especially the ones that are not spiked with large dollops of N,P or K) then social media updates from all corners of the UK have highlighted healthy turf surviving the harsh conditions on a diet of little more than Seaweed, Molasses and Humic acid. For those who have not utilised bio-stims as a 'life support machine', how will they approach making life green and grassy again when the drought comes to an end? On my travels, I'm seeing varying attitudes on what to do next. Many turf managers are hanging their hats on the belief that "it's hard to kill grass" and that turf "always comes back". Whilst it's fair to assume that a degree of self-recovery will kick in when the rain starts to fall, I think the amount of hard work required to restore certain surfaces to the way they looked in May is being greatly under-estimated. One thing is certain: the window of opportunity between autumn recovery and winter dormancy will be short, so if you are looking to enter the cooler months in a position of strength, then getting the renovation right will be crucial. Get that renovation period wrong (or worse, do nothing) and you'll be looking at sparse, patchy surfaces that will quickly deteriorate under the traffic of machinery and feet. 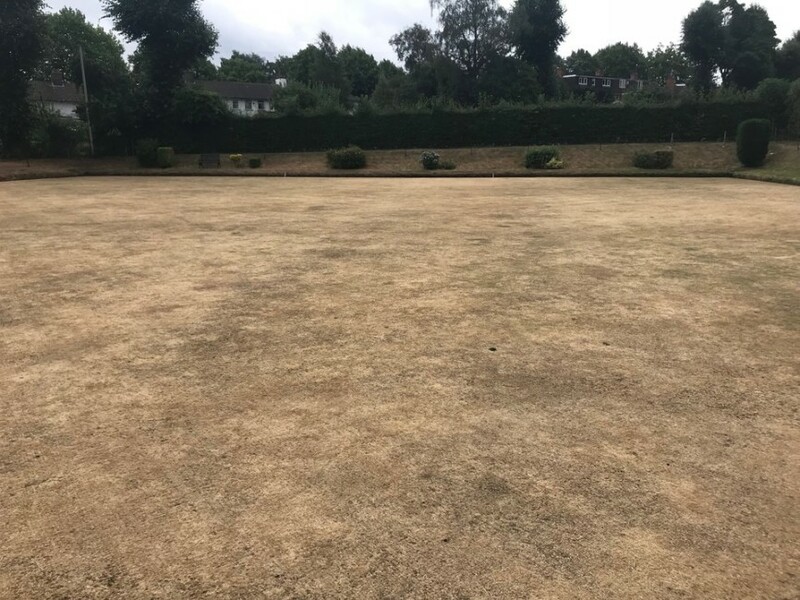 Whether it be Golf, Cricket, Football or Bowls, serious amounts of dead organic matter will need to be removed before contemplating any meaningful seed applications. Added to this, I'm hearing from more than one seed-house that grass seed stocks might not be sufficient for the 2018 Autumn - the same weather that has made things difficult for end-users as has also impacted on seed yield and production. Factor 'increased demand' into 'reduced availability', and you'd better cross your fingers that a strong relationship with your distributor rep might prevent opportunistic price hikes. So in answer to my most frequently asked question at present - "It will come back, wont it?" - my stock answer is……Something will comeback - but it's going to need a dedicated effort from now until the end of the growing season to get it there. 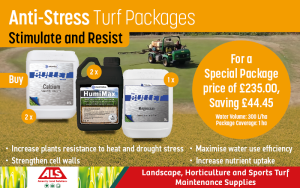 At ALS, we have considered the best possible ways to re-invigorate turf following the difficult Summer. For more information or to place your order, please contact ALS on 01952 641949.